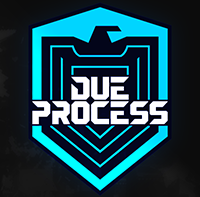 Gamasutra: Andrzej Marczewski's Blog - Whats the difference between Gamification and Serious Games? Whats the difference between Gamification and Serious Games? Anyone who has read my blogs will know that I am a little against the constant arguments about what gamification is and what it isn’t, so this may seem a little hypocritical. Here I am defining it after all. Well, things change and whilst I still think that excluding ideas because they do not fit into your perfect definition of gamification is daft, I also believe that as gamfication matures, so should the language we use. You see the trouble is, it is confusing to people who are not involved. whilst we should all know the differences , civilians may not! So here goes. NOTE: I feel it is important at this stage to say this. I am talking about the design intention here. I understand that Serious Games and even Gamification can be fun. However, this is not the intended design goal, they are designed for a purpose rather than as pure entertainment. This is the use of game thinking in user experience. It is game like approach to aesthetics and usability, rather than the addition of game elements. Some may also call it playful design. A nice example of this is the fail whale from Twitter. 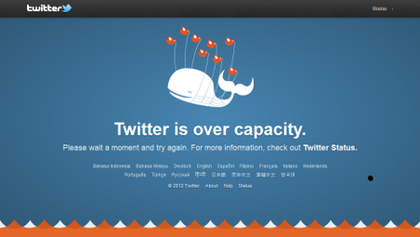 Rather than a boring old error when twitter is over capacity, they have the Fail Whale. This simple change in thinking has spawned it’s own life, with people recreating the image with different characters and even created t-shirts with it on! There are better examples, where game thinking has made user interfaces easier to use, but this is nice and simple. Add your own in the comments! It is what you get when you take elements and ideas from games and apply them to things that are not games. So adding progress bars to a site to show how much of your profile you have filled in (e.g. linkedin.com), adding points, badges, leaderboards, peer pressure and more to things that normally would not have them (e.g. Nike+, Idea Nation, Zombies Run, Gamification.co). The addition of missions and quests, of social interactions and more. It is about the psychology of games and people, the use of Autonomy, Mastery, Purpose and Relatedness to engage and motivate people. All things that games have in abundance! The big thing that separates gamification from the next category of serious games – gameplay. You are not creating a game with gamification. A serious game is a game with purpose, it was not created to be solely entertainment. It has all the elements of a real game, will look and feel like a real game, but has some defined purpose, outcome or message the creators wish to get across to you. A good example of a serious game is Pass it On from AXA insurance. As you can see, it looks like a game and it certainly plays like one, It is a 3D world with social gaming elements, missions and quests and even an iPhone app! However, the reason for creating it was to give people a better understanding of why Life insurance is so important! You can also include many educational games in this category. As long as they have all the elements you would expect to see in a real game (ie gameplay!). Simulations are slightly different, but with the simple classification I am using, still fit into the same category. Rather than being a game with some kind of message or serious purpose, they are designed to simulate something in the real world. An enterprise example would be PlantVille from Seimens. This “game” is designed to simulate the inner workings of a manufacturing plant. The reason I say that simulations are a bit different is because the do not always need to have gameplay. However, for our purposes and for the sorts of solutions we are most likely to want to provide people – I would say gameplay is essential! All of the above, but played just for entertainment. Bonus points for people who are old enough to remember this game!! There you have it, my quick break down of different parts of what we often talk about as gamification. Maybe we should expand out and call what we do Game Thinking rather than gamification? My last word on this. If you limit yourself to only considering gamification as it is defined here – I think you are doing it wrong. All of what I have described here can and should be used in the right ways to benefit people. My last last words, here is another diagram that may help some with clarifying. It is Type of Game Thinking mapped against design purpose and gameplay. Again, it is important to note that this chart deals with the intented reasons for design. Just because it is a serious game, does not mean it can not be fun - but the reason it was created was for a purpose other than pure entertainment. With Gameful Design, fun describes the fact that the thinking behind the design is to make something a more enjoyable experience, even in small ways. They are not essential to the design, just make it more pleasing to the user.